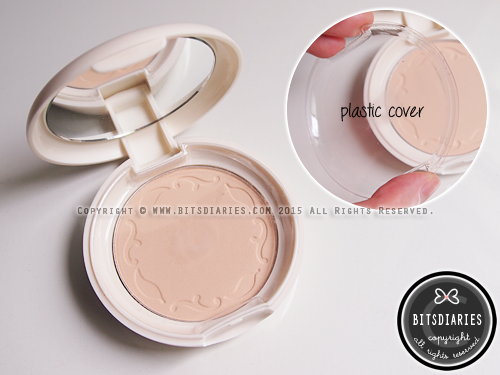 The pact comes in a matte ivory colored round case with a snap-on lid/case. It is very compact and light, which makes it convenient to carry around in your purse/bag. ... along with a plastic cover divide between where you keep the puff and powder itself. Unlike the Mineral Pact that comes in white powder; the powder of Blur Pact has a translucent light beige color that gives a natural finish. No need to worry about having a white cast on your face when applied too much of powder. It blends perfectly with my skin tone. 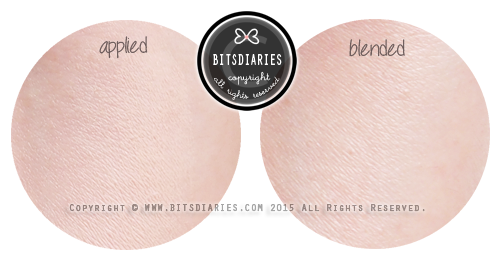 It blends perfectly with light/medium-toned skin, but I'm not sure if it would blends well with darker skin tones. In the last stage of your daily make-up routine, use powder puff to gently apply onto entire face or sebum concentrated areas. *Take note that the following are zoomed-in pictures; therefore, my pores may look bigger in the pictures than they seem in real life. Only No-Sebum Blur Pact Powder was applied. 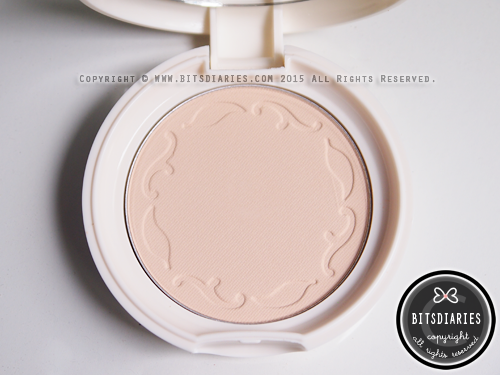 I noticed a difference in the appearance of my skin after applying this powder. Not only does it leave my skin looking smoother and mattified, it also blurs out my pores, as you can tell from the zoomed-in pictures. It did not hide my pores completely, to be honest. However, it did make them look less apparent. In conclusion, it does what it claims! It does control sebum, but in my opinion, it is not as good as the Mineral Pact. P.S: The effectiveness may vary individually as it depends on the climate you live in and individual's skin sebum production rate. It gives a sheer coverage and is unable to hide dark circles, redness and blemishes. If you want more coverage, this is not the one for you. 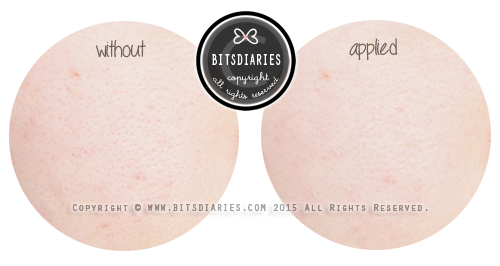 Overall, No-Sebum Blur Pact is a good translucent setting powder. I love how it smoothes out my skin and blurs out my pores, making them less noticeable without causing any breakouts. 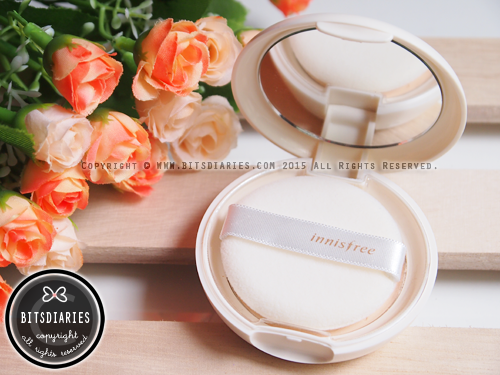 If you are looking for a powder that blurs out pores, this is it! 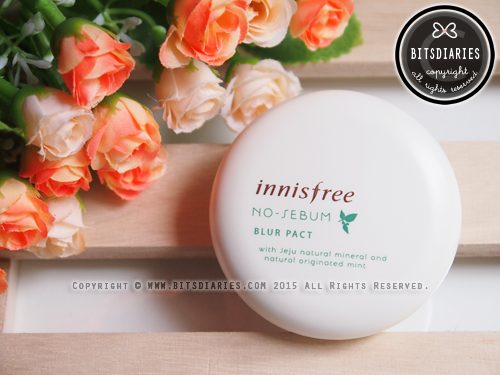 It goes on great by itself, and even better with Innisfree No-Sebum Blur Primer. Check out my review on No-Sebum BLUR PRIMER. Looks great! 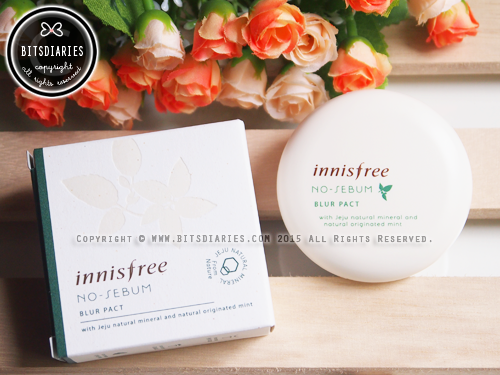 can we use this pact interchangeably with innisfree cushion?